« The Bird escaped from Camera where to go?”, Vanguard Gallery, Shanghai, Sep 18 – Oct 26. 2018. 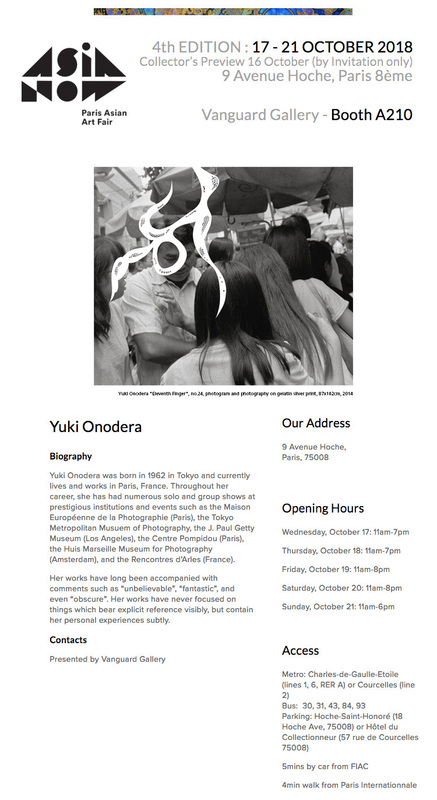 « Yuki Onodera », Kyoto Museum of Photography, Kyoto, Japan, Oct 31-Nov18, 2018. « Singapore International Photography Festival », Sep 28 – Oct 28. 2018, Japan Creative Center, Singapore.